December 28, 2015 /in Family Law, Other Law Topics, Top 10 Child Custody Mistakes /by Daryle C. Tibbs Esq. Daryle C. Tibbs, owner of Tibbs Law Office, explains the Top 10 Child Custody Mistakes in divorce proceedings or child custody hearings. This week, Daryle describes why it’s a mistake for a parent to immediately move out of their current residence and leave the children with their spouse. December 19, 2015 /in Family Law, Other Law Topics, Top 10 Child Custody Mistakes /by Daryle C. Tibbs Esq. This week, Daryle describes why it’s a mistake for parents to deny one another’s parenting time. December 12, 2015 /in Family Law, Other Law Topics, Top 10 Child Custody Mistakes /by Daryle C. Tibbs Esq. This week, Daryle describes why it’s a mistake for parents to fail to pay child support. 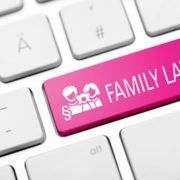 December 3, 2015 /in Family Law, Top 10 Child Custody Mistakes /by Daryle C. Tibbs Esq. This week, Daryle describes why it’s a mistake for parents to fight with one another in court.